Mae McBride and Heidi Foster were the very best of friends. Tied at the hip from early elementary school, their relationship was the stuff of storybooks, legendary even, in the minds of their high school classmates. That is, until Mae's father died while saving Heidi's life. When Mae finds out, she blames Heidi. She blames her father for putting Heidi ahead of her. She blames her friends for taking Heidi’s side. She begins to unravel amid that blame and her uncontrollable and atypical anger. At the same time Heidi is beset by guilt, falls into depression and stops eating properly; wasting away physically and emotionally while waiting for Mae to let her back into the friendship she misses so dearly. What could possibly bring these two old friends back to each other? 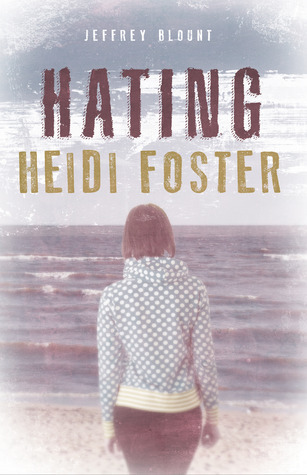 A miracle?Hating Heidi Foster is a young adult novel about the place of honor true friendships hold in our lives. It is about suffering and loss and the ethics of grief. It is about a deep and painful conflict, the bright light of selflessness and sacrifice and the love that rights the ship and carries us safely to port. What a powerful read! I found the summary so intriguing that I knew I had to read this one. Consider how you'd feel if your father died saving your best friend---what would you do? Could you still be friends, knowing that your friend is the reason your father is dead? Adding another layer of complexity is the fact that these girls are in high school, which is a hard enough time to live through without any traumatic events. 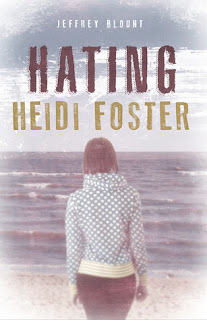 I was not expecting to be so moved while reading Hating Heidi Foster, especially considering that it is a relatively short book. I found myself crying at several points throughout the book, especially at the end. From a mother's point of view, Hating Heidi Foster was even more powerful. I could not imagine what Mae's mother goes through, losing her husband, but also having to help her daughter grieve for her father. And Mae grieves much differently than her mother does. That was a new thought for me: I know people process their emotions in different ways, but to think that the way Mae handles her grief actually causes her mother more pain was really something to consider. I wasn't sure how much character growth could take place in such a short book, but there was a lot of growth on Mae's part, as well as her mother and Heidi. I loved how Mae starts to stand up for herself and how she eventually sees the error of her ways. The conflict resolution between Mae and Heidi was very welll-done and realistic. I loved the way the other students and high school staff were involved and invested in their lives. I found the way Mae deals with her grief to be very realistic and relatable. The movies were a nice touch, and something I could easily picture her doing. Mae is definitely no shrinking violet, and once she decides to take charge of things, she really took off. I would highly recommend Hating Heidi Foster. It's a moving, emotional read with a great message.